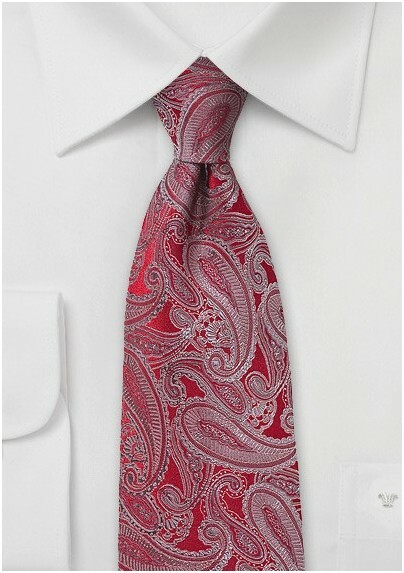 Get things moving with this handmade paisley tie in bold red and sleek silver. 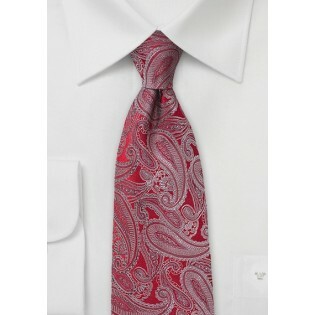 The flowing silver paisley design, and radiant red background will have you feeling rejuvenated, and revitalized in moments. Constructed by Chevalier from 100% woven silk, this item feels as plush, and smooth as it looks. Wear it with a white polka dot button down, and blue slacks for a fashion forward professional look that will have you traveling among the trendy at your office.